WK 8 CHANGE. I cannot do regular office hours this week as a result of other work commitments. If you need to speak to me urgently this week please email me to arrange a convenient time to Skype. Louisa is an interdisciplinary social scientist with interests in environmental governance and international development, primarily but not exclusively in coastal and marine systems. 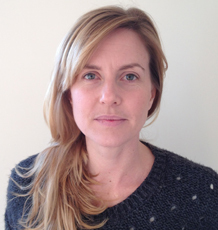 Louisa joined Exeter in 2014 as an Advanced Research Fellow in Environment and Sustainability. This followed four years as a Research Fellow at the Australian Research Council Centre of Excellence for Coral Reef Studies, and two years as a Post-doctoral Fellow and consultant at WorldFish (Malaysia), part of the Consultative Group on International Agricultural Research. Governance and its outcomes: Under this theme Louisa examines institutions of governance, processes of participation and knowledge exchange, and outcomes including legitimacy, human wellbeing and environmental sustainability. Her research has investigated established and emerging governance frameworks, including co-management, adaptive management, integrated management and ecosystem-based management, and she is particularly interested in understanding social difference and trade-offs in social and environmental outcomes. Drivers of social, institutional and policy change: Louisa is also interested in how governance systems transition to new approaches, what drives such transitions, and what the implications are for different people and different governance outcomes. In particular she is interested in critically analyzing concepts of leadership and entrepreneurship, risk perceptions, participation, innovation and learning. Resilience and transformation: Underpinning Louisa’s research into governance and change is an interest is the concepts of resilience and transformation. Here, she explores the meanings, drivers, decision-making processes, and winners and losers associated with how these discourses are taken up into policy and practice. Louisa’s research contributes theoretically, conceptually and methodologically in these areas, in particular through applied research, and participatory and action approaches. She has worked in Australia, Kenya, Tanzania, Solomon Islands and the UK. Please get in touch if you are interested in collaborating on these and related research topics. Empower and raise the political voice of inshore and typically marginalised fishing communities in anticipation of new avenues for them to engage in policy debate over UK fisheries regulation and fishers’ rights outside of the Europe Union. Place fishing communities’ aspirations for Brexit into a broader context of social, political and environmental change through collaborative research and creative engagement. Buoyed brings the voices of inshore fishing communities to the general public and key decision-makers through an interactive, playful cluster of magical glass buoys suspended from wooden stems that tease you with their pulsing glow and muffled voices, enticing you in. Come closer to hear the hopes of fishing communities for a brighter future outside of the EU. Installed at Hastings Seafood and Wine Festival (16-17 Sept) and Exeter’s Lost Weekend Festival (6-8 Oct). Blue Communities. 2018 - 2021. Funded the Global Challenges Research Fund (GCRF) Capabilities programme. The programme aims to build capacity for sustainable interactions with marine ecosystems for the benefit of the health, well-being, food security and livelihoods of coastal communities in East and Southeast Asia. Project 2 involves a critical institutional analysis of marine planning approaches in five case studies to identify how marine planning can add value given existing investments in governance, management and planning. Project 9 involves analysing and co-developing with stakeholders principles and approaches to make the hard political and ethical decisions about trade-offs in marine planning in DAC contexts. Coral Communities: Building Socio-Ecological Resilience to Coral Reef Degradation in the Islands of the Western Indian Ocean. 2017. Funded by the Global Challenges Research Fund (GCRF) Building Resilience programme. A literature review, assessing the extent to which the initiatives used to manage coral reefs are successful in building community and reef resilience. A stakeholder workshop in Mauritius (week of 8th May), to identify ways in which these initiatives can be refined to better build resilience. Develop and pilot of a novel, arts-based approach for assessing perceptions of the environment and the socio-cultural risk associated with different resilience strategies. Determine trends in upwelling associated with changes in oceanographic and surface meteorological conditions within the EACC system. Determine how these trends have impacted on marine productivity and small pelagic fisheries, and prediction of future impacts. Determine the vulnerability, resilience and adaptation options for fisheries dependent communities in the EACC upwelling region. Understand the governance of small pelagic fisheries across scales, and explore the ability of governance institutions to respond to changes in the upwelling regimes of the EACC shelf region. Assess the impacts of management measures and partnership activities on ecosystem services and human wellbeing. Develop and test a transferable framework for evaluating MPA impacts. Clarify the drivers of successful partnership and management and, thereby, enable promotion of the ‘Lyme Bay model’ for MPA management. Develop a relational database to compare large-scale commons. Refine metrics for coding and comparing SES attributes and interactions. Do the periods following major national crises offer potential for initiating change in policy and response approaches to floods? What framings are identifiable across the wide range of actors affected by and involved with the 2013/14 floods and how are they linked to specific solutions and outcomes? Which framings dominate or become marginalised over time and with what implications for longer-term responses? How are longer-term issues such as land use, agricultural policy, climate change adaptation and sustainability, incorporated and addressed? Apply EAFM through a participatory diagnosis and adaptive management process. Investigate how the costs and benefits of EAFM are differentially distributed and experienced. Investigate how sources of leadership interact in the Coral Triangle Initiative in the Solomon Islands. Develop future scenarios of the Great Barrier Reef under climate change and limited vs ideal adaptation. To use these scenarios to explore adaptation actions and the capacity to reduce vulnerability of fisheries and tourism industry to climate change impacts. Barnett J, Evans L, Gross C, Kiem A, Kingsford R, Palutikof J, Pickering C, and Smithers S. 2015. From barriers to limits to climate change adaptation: path dependency and the speed of change. Ecology and Society 20(3): 5. 2017-2020. £6.6 million. Co-I. RCUK Global Challenges Research Fund. Blue Communities. 2017. £20,000. PI. Economic and Social Research Council Impact Accelerator Award. 2016. £200,000. Co-I. RCUK Global Challenges Research Fund. Building Socio-Ecological Resilience to Coral Reef Degradation in the Islands of the Western Indian Ocean. 2016. US$250,000. Co-I. Productivity in the EACC under climate change. Western Indian Ocean Marine Science Association MASMA grant. 2015. £25,000. Co-I. BLUE Marine Foundation grant to evaluate management and partnership activities in Lyme Bay. 2014-2015. £200,000. Co-I. Economic and Social Research Council Urgent Grant on Flood Policy. 2014. £6,000. PI. Humanities and Social Science Project Development Fund from Exeter University for research on environmental leadership. 2012 - 2013. AU$ 8,500. PI. Collaborating across Boundaries grant from James Cook University for research on leadership and influence networks in sustainable development policy. 2012 - 2013. AU$ 15,000. PI. Competitive Research Incentive Grant from James Cook University for research on governance transitions in the Solomon Islands (in addition to my internal post-doctoral research funding). 2012 - 2014. Euro 1.2 million. PI. European Commission grant awarded to WorldFish for research on operationalising the ecosystem approach to fisheries management. I led the grant application and lead the Tanzanian research. 2010 - 2011. AU$ 100,000. PI. National Climate Change Adaptation Research Facility for research on Limits to Climate Change Adaptation on the Great Barrier Reef. 2004 - 2008. ESRC/NERC grant for my PhD. Brown K, Adger WN, Devine-Wright P, Anderies JM, Barr S, Bousquet F, Butler C, Evans L, Marshall N, Quinn T, et al (2019). Empathy, place and identity interactions for sustainability. Global Environmental Change, 56, 11-17. © 2019 Elsevier Ltd Sustainability science recognises the need to fully incorporate cultural and emotional dimensions of environmental change to understand how societies deal with and shape anticipated transformations, unforeseen risks and increasing uncertainties. The relationship between empathy and sustainability represents a key advance in understanding underpinning human-environment relations. We assert that lack of empathy for nature and for others limits motivations to conserve the environment and enhance sustainability. Critically, the relationship between empathy and sustainability is mediated by place and identity that constrain and shape empathy's role in pro-environmental sustainability behaviour. We review emerging evidence across disciplines and suggest a new model exploring interactions between place, identity and empathy for sustainability. There are emerging innovative methodological approaches to observe, measure and potentially stimulate empathy for sustainability. Blythe J, Silver J, Evans L, Armitage D, Bennett NJ, Moore M-L, Morrison TH, Brown K (2018). The Dark Side of Transformation: Latent Risks in Contemporary Sustainability Discourse. ANTIPODE, 50(5), 1206-1223. Author URL. Evans LS, Hicks CC, Adger WN, Barnett J, Perry AL, Fidelman P, Tobin R (2016). Structural and Psycho-Social Limits to Climate Change Adaptation in the Great Barrier Reef Region. PLoS One, 11(3). Leadership is heralded as being critical to addressing the ‘‘crisis of governance’’ facing the Earth’s natural systems. While political, economic, and corporate discourses of leadership have been widely and critically interrogated, narratives of environmental leadership remain relatively neg- lected in the academic literature. The aims of this paper are twofold. First, to highlight the centrality and importance of environmental science’s construction and mobilization of leadership discourse. Second, to offer a critical analysis of environmental sciences’ deployment of leadership theory and constructs. The authors build on a review of leadership research in environmental science that reveals how leadership is conceptualized and analyzed in this field of study. It is argued that environmental leadership research reflects rather narrow framings of leadership. An analytical typology proposed by Keith Grint is employed to demonstrate how any singular framing of environmental leadership as person, position, process, result, or purpose is problematic and needs to be supplanted by a pluralistic view. The paper concludes by highlighting key areas for improve- ment in environmental leadership research, with emphasis on how a political ecology of envir- onmental crisis narratives contributes to a more critical body of research on leadership in environmental science. Fabinyi M, Evans L, Foale S (2014). Social-ecological systems, social diversity, and power: insights from anthropology and political ecology. Ecology and Society, 19(4). Evans L, Ban NC, Davies TE (In Press). Social and ecological effectiveness of large marine protected areas. Global Environmental Change Full text. Davies TE, Epstein G, Aguilera SE, Brooks CM, Cox M, Evans LS, Maxwell SM, Nenadovic M, Ban NC (2018). Assessing trade-offs in large marine protected areas. PLoS One, 13(4). Assessing trade-offs in large marine protected areas. Large marine protected areas (LMPAs) are increasingly being established and have a high profile in marine conservation. LMPAs are expected to achieve multiple objectives, and because of their size are postulated to avoid trade-offs that are common in smaller MPAs. However, evaluations across multiple outcomes are lacking. We used a systematic approach to code several social and ecological outcomes of 12 LMPAs. We found evidence of three types of trade-offs: trade-offs between different ecological resources (supply trade-offs); trade-offs between ecological resource conditions and the well-being of resource users (supply-demand trade-offs); and trade-offs between the well-being outcomes of different resource users (demand trade-offs). We also found several divergent outcomes that were attributed to influences beyond the scope of the LMPA. We suggest that despite their size, trade-offs can develop in LMPAs and should be considered in planning and design. LMPAs may improve their performance across multiple social and ecological objectives if integrated with larger-scale conservation efforts. Evans LS, Cohen PJ, Vave-Karamui A, Masu R, Boso D, Mauli S (2018). Reconciling Multiple Societal Objectives in Cross-Scale Marine Governance: Solomon Islands’ Engagement in the Coral Triangle Initiative. Society and Natural Resources, 31(1), 121-135. © 2017 Taylor. &. Francis. Environmental governance aims to reconcile an expanding set of societal objectives at ever-larger scales despite the challenges that remain in integrating conservation and development at smaller scales. We interrogate Solomon Islands’ engagement in the Coral Triangle Initiative on Coral Reefs, Fisheries and Food Security to contribute new insight on the scalar politics of multi-level marine governance. We show how regional objectives are re-interpreted and prioritized as they translate into national policy and practice. Our data suggest that enhanced coordination of finances and activities, integration of objectives in shared protocols and priority geographies, and a subtle shift in power relations between the state, donors, and implementation partners have resulted from processes of re-scaling. We discuss important procedural adjustments in cross-level and cross-scale governance across jurisdictional, institutional, and sectoral scales. We also reflect on the changing role of national governments in shifts toward large-scale, multi-national initiatives. Pratchett MS, Cameron DS, Donelson J, Evans L, Frisch AJ, Hobday AJ, Hoey AS, Marshall NA, Messmer V, Munday PL, et al (2017). Effects of climate change on coral grouper (Plectropomus spp.) and possible adaptation options. Reviews in Fish Biology and Fisheries, 27(2), 297-316. © 2016, Springer International Publishing Switzerland. Global climate change is increasingly considered one of the major threats to tropical coastal fisheries, potentially undermining important revenue and food security provided by coral reef ecosystems. While there has been significant and increasing work on understanding specific effects of climate change on coral reef fishes, few studies have considered large-bodied fisheries target species, limiting understanding of the effects of climate change on tropical fisheries. This review focuses on coral grouper (Plectropomus spp. and mainly Plectropomus leopardus), which are heavily fished throughout the Indian and Pacific oceans, and represent an exemplar group to assess potential effects of climate change on coral reef fisheries. In experimental studies, P. leopardus appear to be extremely sensitive to increasing ocean temperature, exhibiting declines in survivorship, aerobic scope and activity with relatively moderate increases in temperature. As such, ongoing ocean warming may jeopardize the catchability of coral grouper and sustainability of reef-based fisheries, especially at low latitudes. Notably, a significant portion of wild stocks of P. leopardus are already exposed to temperatures (≥30 °C) that have been shown to compromise individual performance and body condition. While there are considerable knowledge gaps in predicting effects of global climate change on coral grouper, such as their capacity to avoid, acclimate or adapt to changes in local environmental conditions, current information suggests that there is cause for concern. As such, we take the formative steps to outline both ecological and socioeconomic adaptations that could reduce vulnerability of coral reef fisheries to climate impacts on stocks of coral grouper, using a linked socio-economic framework. Evans LS, Cohen PJ, Case P, Hicks CC, Prideaux M, Mills DJ (2017). The Landscape of Leadership in Environmental Governance: a Case Study from Solomon Islands. Human Ecology, 45(3), 357-365. © 2017, Springer Science+Business Media New York. Sustainability science suggests a core set of factors that foster significant change in governance, with leaders and entrepreneurs often identified as the main instigators. Discussions of leadership in governance transformations often focus on key charismatic people, underplaying contestation and the complex landscape of leadership. We present an empirical study that uses a participatory network mapping approach to provide a broader examination of leadership in integrated conservation and development. We use the Coral Triangle Initiative in Solomon Islands as an example of potential transformation in environmental governance across multiple objectives. Our analysis shows that actants, other than key individuals, enact leadership. We illustrate that a different suite of actants are providing leadership for each of the three Coral Triangle Initiative objectives. Actants can enact leadership by positively and negatively influencing different goals to varying extents. Our study illustrates the potential of broader and more nuanced understandings of leadership in environmental governance. Cinner JE, Pratchett MS, Graham NAJ, Messmer V, Fuentes MMPB, Ainsworth T, Ban N, Bay LK, Blythe J, Dissard D, et al (2016). A framework for understanding climate change impacts on coral reef social–ecological systems. Regional Environmental Change, 16(4), 1133-1146. © 2015, Springer-Verlag Berlin Heidelberg. Corals and coral-associated species are highly vulnerable to the emerging effects of global climate change. The widespread degradation of coral reefs, which will be accelerated by climate change, jeopardizes the goods and services that tropical nations derive from reef ecosystems. However, climate change impacts to reef social–ecological systems can also be bi-directional. For example, some climate impacts, such as storms and sea level rise, can directly impact societies, with repercussions for how they interact with the environment. This study identifies the multiple impact pathways within coral reef social–ecological systems arising from four key climatic drivers: increased sea surface temperature, severe tropical storms, sea level rise and ocean acidification. We develop a novel framework for investigating climate change impacts in social–ecological systems, which helps to highlight the diverse impacts that must be considered in order to develop a more complete understanding of the impacts of climate change, as well as developing appropriate management actions to mitigate climate change impacts on coral reef and people. Eriksson H, Adhuri DS, Adrianto L, Andrew NL, Apriliani T, Daw T, Evans L, Garces L, Kamanyi E, Mwaipopo R, et al (2016). An ecosystem approach to small-scale fisheries through participatory diagnosis in four tropical countries. Global Environmental Change, 36, 56-66. © 2015 Elsevier Ltd. Participatory diagnosis is an approach to identify, prioritize and mobilise around factors that constrain or enable effective governance and management in small-scale fisheries. Diagnostic frameworks are mostly designed and used for systematic scientific analysis or impact evaluation. Through participation they also have potential to guide contextually informed improvements to management in practice, including transitions to contemporary forms of governance like the ecosystem approach to fisheries (EAF)-the focus of our study. We document and critically reflect on participatory diagnosis processes and outcomes at sites in Indonesia, Philippines, Solomon Islands and Tanzania. These sites were part of an international project on the implementation of the EAF and differed widely in institutional and operational contexts. The Participatory Diagnosis and Adaptive Management framework and the "issue radar" diagnosis map were used to identify, evaluate and address factors associated with navigating management transitions towards the EAF. We found that many challenges and priority actions identified by participants were similar across the four study countries. Participants emphasized habitat restoration, particularly mangrove rehabilitation, and livelihood enhancement. The importance of strengthening governance entities, networks and processes (e.g. harmonization of policies, education and awareness of policies) was also a prominent outcome of the diagnosis. Site-specific factors were also explored together with the differing views among stakeholders. We conclude that diagnosis frameworks are indeed useful tools for guiding management transitions in fisheries, particularly where they enable flexibility in approaches to diagnosing problems and applying solutions to local contexts. Kim MK, Evans L, Scherl LM, Marsh H (2016). Applying Governance Principles to Systematic Conservation Decision-Making in Queensland. Environmental Policy and Governance, 26(6), 452-467. Copyright © 2016 John Wiley. &. Sons, Ltd and ERP Environment the literature on the science-policy interface suggests that stakeholders' perceptions of environmental planning and decision-making processes can affect the uptake of conservation plans. Despite calls for more and better stakeholder engagement in conservation planning there is currently no empirical evidence on participants' perceptions of such processes. We asked participants of a conservation planning process and other key informants to evaluate their engagement experiences using normative governance principles (legitimacy, inclusiveness, fairness, accountability, integration, adaptability, transparency and capability). We analysed a large-scale case-study of species prioritization in Queensland, Australia. Conceptually, our systematic use of governance principles to interrogate perceptions of engagement showcased the utility of this analytical approach to uncover important issues influencing science-policy uptake. Empirically, we showed that there remains considerable debate about how a normative conservation planning process should be. Our data revealed different interpretations of species prioritization, ranging from a deliberative process to define priorities in biodiversity conservation, to a technical, expert-based process. Matters of ‘who’ was included affected stakeholders' perceptions of species prioritization. Perceived limitations of ‘how’ the process was conducted were also important, affected by the: (1) institutional culture of the Queensland Government; (2) lack of transparency; (3) limited flexibility to incorporate both emerging data and participants' suggestions in programme management; and (4) limited capability for implementation. These empirical data support existing evidence from studies in the broader field of collaborative planning. We draw from this literature to suggest how conservation planners can overcome the barriers to the uptake of prioritization priorities identified in or research. Copyright © 2016 John Wiley & Sons, Ltd and ERP Environment. Frisch AJ, Cameron DS, Pratchett MS, Williamson DH, Williams AJ, Reynolds AD, Hoey AS, Rizzari JR, Evans L, Kerrigan B, et al (2016). Erratum to: Key aspects of the biology, fisheries and management of Coral grouper (Rev Fish Biol Fisheries, 10.1007/s11160-016-9427-0). Reviews in Fish Biology and Fisheries, 26(3). © 2016, the Author(s). In the original publication of the article, one of the coauthor's affiliation was wrongly published. The correct affiliation is provided here. Frisch AJ, Cameron DS, Pratchett MS, Williamson DH, Williams AJ, Reynolds AD, Hoey AS, Rizzari JR, Evans L, Kerrigan B, et al (2016). Key aspects of the biology, fisheries and management of Coral grouper. Reviews in Fish Biology and Fisheries, 26(3), 303-325. © 2016, Springer International Publishing Switzerland. Coral grouper (genus Plectropomus), or coral trout, are members of the grouper family (Epinephelidae) and are one of the largest and most conspicuous predatory fishes on Indo-Pacific coral reefs. They are highly-prized food fishes that are targeted by subsistence, artisanal, commercial and recreational fisheries throughout their geographic range. Plectropomus have broadly similar diets and habitat requirements to other tropical groupers, but typically have faster growth and higher natural mortality rates. Although these characteristics are expected to increase population turnover and reduce innate vulnerability to environmental and anthropogenic impacts relative to other groupers, many Plectropomus populations are in decline due to the combined effects of overfishing and habitat degradation. In many locations, stock depletion from uncontrolled fishing, particularly at spawning aggregation sites, has resulted in local fishery collapse. Therefore, improved management of wild populations is urgently required to ensure conservation and sustainable fisheries of Plectropomus. Where possible, a combination of no-take marine reserves, market-based management approaches, and allocation or resurrection of property rights systems are recommended to complement conventional fishery management actions that limit catch and effort. Additional investment in aquaculture propagation is also needed to reduce fishing pressure on wild stocks and support management initiatives. This global synthesis of information pertaining to the biology, fisheries and management of Plectropomus will assist in guiding future management actions that are attempting to address a range of stressors including fishing, reef habitat degradation, and the escalating effects of climate change. Cox M, Villamayor-Tomas S, Epstein G, Evans L, Ban NC, Fleischman F, Nenadovic M, Garcia-Lopez G (2016). Synthesizing theories of natural resource management and governance. Global Environmental Change, 39, 45-56. © 2016 Elsevier Ltd. A variety of disciplines examine human-environment interactions, identifying factors that affect environmental outcomes important for human well-being. A central challenge for these disciplines is integrating an ever-increasing number of findings into a coherent body of theory. Without a repository for this theory, researchers cannot adequately leverage this knowledge to guide future empirical work. Comparability across field sites, study areas and scientific fields is hampered, as is the progress of sustainability science.To address this challenge we constructed the first repository of theoretical statements linking social and ecological variables to environmental outcomes. Stored in a relational database that is accessible via a website, this repository includes systematically formalized theories produced from researchers studying resilience, environmental conservation, common-pool resource governance, environmental and resource economics and political ecology. Theories are explicitly linked together in the database to form the first coherent expression of the types of human-environment interactions that affect outcomes for natural resources and, by extension, the people who use them.Analysis of this repository shows that a variety of types of theories exist, from the simple to the complex, and that theories tend to thematically cluster by scientific field, although the theories of every field were related in at least some way to theories from other fields. Thus there is much potential for increased interaction across these fields, hopefully with the help of resources such as this repository. The theories and variables employed to express their arguments are publicly viewable in a wiki-like format, as a resource for the scientific community. Barnett J, Evans LS, Gross C, Kiem AS, Kingsford RT, Palutikof JP, Pickering CM, Smithers SG (2015). From barriers to limits to climate change adaptation: path dependency and the speed of change. Ecology and Society: a journal of integrative science for resilience and sustainability, 20(3). Ban NC, Evans LS, Nenadovic M, Schoon M (2015). Interplay of multiple goods, ecosystem services, and property rights in large social-ecological marine protected areas. Ecology and Society, 20(4). © 2015 by the author(s). Published here under license by the Resilience Alliance. Protected areas are a cornerstone of biodiversity conservation, and increasingly, conservation science is integrating ecological and social considerations in park management. Indeed, both social and ecological factors need to be considered to understand processes that lead to changes in environmental conditions. Here, we use a social-ecological systems lens to examine changes in governance through time in an extensive regional protected area network, the Great Barrier Reef Marine Park. We studied the peer- reviewed and nonpeer-reviewed literature to develop an understanding of governance of the Great Barrier Reef Marine Park and its management changes through time. In particular, we examined how interacting and changing property rights, as designated by the evolving marine protected area network and other institutional changes (e.g. fisheries management), defined multiple goods and ecosystem services and altered who could benefit from them. The rezoning of the Great Barrier Reef Marine Park in 2004 substantially altered the types and distribution of property rights and associated benefits from ecosystem goods and services. Initially, common- pool resources were enjoyed as common and private benefits at the expense of public goods (overexploited fisheries and reduced biodiversity and ecosystem health). The rezoning redefined the available goods and benefits and who could benefit, prioritizing public goods and benefits (i.e. biodiversity conservation), and inducing private costs (through reduced fishing). We also found that the original conceptualization of the step-wise progression of property rights from user to owner oversimplifies property rights based on its division into operational and collective-choice rule-making levels. Instead, we suggest that a diversity of available management tools implemented simultaneously can result in interactions that are seldom fully captured by the original conceptualization of the bundling of property rights. Understanding the complexities associated with overlapping property rights and multiple goods and ecosystem services, particularly within large-scale systems, can help elucidate the source and nature of some of the governance challenges that large protected areas are facing. Evans LS, Hicks CC, Cohen PJ, Case P, Prideaux M, Mills DJ (2015). Understanding leadership in the environmental sciences. Ecology and Society, 20(1). Fidelman P, Evans LS, Foale S, Weible C, von Heland F, Elgin D (2014). Coalition cohesion for regional marine governance: a stakeholder analysis of the Coral Triangle Initiative. Ocean and Coastal Management, 95, 117-128. The Coral Triangle Initiative (CTI) is a regional-scale effort involving numerous stakeholders aiming to address pressing coastal and marine problems that threaten the ecological, economic, and cultural identities of the Southeast Asia-Pacific Coral Triangle region. This paper draws on the Advocacy Coalition Framework to examine the main CTI stakeholders to better understand their efforts to design and implement marine management policies. It explores CTI stakeholders' policy beliefs and preferences, their patterns of collaboration and trust, their access to resources and level of influence, and their views on the overall performance of the CTI circa 2011. Data come primarily from a survey of 63 stakeholders. The findings suggest that the CTI is best viewed as a nascent, collaborative policy subsystem wherein there is strong support for the CTI objectives among stakeholders, convergence in policy beliefs and preferences, and instances of collaboration. However, some tensions are highlighted within the policy subsystem, which risk undermining the effectiveness and long-term sustainability of the Initiative. We argue that, as the CTI matures, it is important to maintain broad convergence in policy beliefs to prevent the formation of adversarial coalitions within the CTI, and/or to avoid unilateral prioritisation of powerful global interests to the detriment of national and local priorities. While political fortunes lie beyond prediction, these scenarios might be averted through the aid of a policy broker and through fostering established and new collaborative forums with institutional arrangements that promote trust and consensus. © 2014 Elsevier Ltd.
Fleischman FD, Ban NC, Evans LS, Epstein G, Villamayor-Tomas S, Garcia-Lopez G (2014). Governing large-scale social-ecological systems: Lessons from five cases. International Journal of the Commons, 8(2), 428-456. This paper compares lessons drawn from five case studies of large scale governance of common-pool resources: management of forests in Indonesia, the Great Barrier Reef in Australia, the Rhine River in western Europe, the Ozone layer (i.e. the Montreal Protocol), and the Atlantic Bluefin Tuna (i.e. the International Convention on the Conservation of Atlantic Tuna). The goal is to assess the applicability of Ostrom’s design principles for sustainable resource governance to large scale systems, as well as to examine other important variables that may determine success in large scale systems. While we find support for some of Ostrom’s design principles (boundaries, monitoring, sanctions, fit to conditions, and conflict resolution mechanisms are all supported), other principles have only moderate to weak support. In particular, recognition of rights to organize and the accountability of monitors to resource users were not supported. We argue that these differences are the result of differences between small and large scale systems. At large scales, other kinds of political dynamics, including the role of scientists and civil society organizations, appear to play key roles. Other variables emphasized in common-pool resource studies, such as levels of dependence on resources, group size, heterogeneity, disturbances, and resource characteristics also receive mixed support, pointing to the need to reinterpret the meaning of common-pool resource theories in order for them to be applicable at larger scales. Evans LS, Ban NC, Schoon M, Nenadovic M (2014). Keeping the ‘Great’ in the Great Barrier Reef: Large-scale governance of the Great Barrier Reef Marine Park. International Journal of the Commons, 8(2), 396-427. Cvitanovic C, Wilson SK, Fulton CJ, Almany GR, Anderson P, Babcock RC, Ban NC, Beeden RJ, Beger M, Cinner J, et al (2013). Critical research needs for managing coral reef marine protected areas: Perspectives of academics and managers. Journal of Environmental Management, 114, 84-91. Marine protected areas (MPAs) are a primary policy instrument for managing and protecting coral reefs. Successful MPAs ultimately depend on knowledge-based decision making, where scientific research is integrated into management actions. Fourteen coral reef MPA managers and sixteen academics from eleven research, state and federal government institutions each outlined at least five pertinent research needs for improving the management of MPAs situated in Australian coral reefs. From this list of 173 key questions, we asked members of each group to rank questions in order of urgency, redundancy and importance, which allowed us to explore the extent of perceptional mismatch and overlap among the two groups. Our results suggest the mismatch among MPA managers and academics is small, with no significant difference among the groups in terms of their respective research interests, or the type of questions they pose. However, managers prioritised spatial management and monitoring as research themes, whilst academics identified climate change, resilience, spatial management, fishing and connectivity as the most important topics. Ranking of the posed questions by the two groups was also similar, although managers were less confident about the achievability of the posed research questions and whether questions represented a knowledge gap. We conclude that improved collaboration and knowledge transfer among management and academic groups can be used to achieve similar objectives and enhance the knowledge-based management of MPAs. © 2012 Elsevier Ltd.
Foale S, Adhuri D, Aliño P, Allison EH, Andrew N, Cohen P, Evans L, Fabinyi M, Fidelman P, Gregory C, et al (2013). Food security and the Coral Triangle Initiative. Marine Policy, 38, 174-183. © 2012 Elsevier Ltd. The Asia-Pacific's Coral Triangle is defined by its extremely high marine biodiversity. Over one hundred million people living in its coastal zones use this biodiversity to support their livelihoods. Hundreds of millions more derive nutritious food directly from the region's marine resources and through local, regional and global trade. Biodiversity and its values to society are threatened by demographic and habitat change, rising demand, intensive harvesting and climate change. In partnership with international conservation organisations and development funders, the governments of the region's six countries have come together to develop the Coral Triangle Initiative (CTI) on Coral Reefs, Fisheries and Food Security. The CTI has explicit goals and defined targets for marine biodiversity conservation, but not for the food security of the region's marine-resource dependent people, despite this being the wider aim used to justify conservation action. This article suggests how the food security aim of the CTI could be made more explicit. It outlines the complex pathways linking marine biodiversity with food security and argues that improved social science analysis, inter-sectoral policy and management interactions are necessary if conserving marine biodiversity is to contribute towards meeting food security challenges in the region. Evans LS, Hicks CC, Fidelman P, Tobin RC, Perry AL (2013). Future Scenarios as a Research Tool: Investigating Climate Change Impacts, Adaptation Options and Outcomes for the Great Barrier Reef, Australia. Human Ecology, 41(6), 841-857. Climate change is a significant future driver of change in coastal social-ecological systems. Our knowledge of impacts, adaptation options, and possible outcomes for marine environments and coastal industries is expanding, but remains limited and uncertain. Alternative scenarios are a way to explore potential futures under a range of conditions. We developed four alternative future scenarios for the Great Barrier Reef and its fishing and tourism industries positing moderate and more extreme (2–3 °C above pre-industrial temperatures) warming for 2050 and contrasting ‘limited’ and ‘ideal’ ecological and social adaptation. We presented these scenarios to representatives of key stakeholder groups to assess the perceived viability of different social adaptation options to deliver desirable outcomes under varied contexts. Fidelman P, Evans L, Fabinyi M, Foale S, Cinner J, Rosen F (2012). Governing large-scale marine commons: Contextual challenges in the Coral Triangle. Marine Policy, 36(1), 42-53. Environment and development agendas are increasingly being characterised by regional-scale initiatives. This trend is in part motivated by recognition of the need to account for global drivers of change (e.g. climate change, migration, and globalisation), the aspirations of achieving large-scale ecological goals (such as maintaining ecosystem processes), and reconciling potentially conflicting priorities in multi-use planning. However, regional-scale governance is challenging and there is little theoretical guidance or empirical evidence to suggest how it can be achieved. This paper uses the Institutional Analysis and Development framework to highlight the diverse contextual factors that challenge governance of a large-scale marine common, using an example of the Coral Triangle Initiative. The analysis points to the need for a critical, reflexive approach to the Coral Triangle Initiative if it is to effectively navigate diverse contexts and reconcile multiple objectives in the region. Recognising the heterogeneous, multi-scale and interlinked nature of large-scale marine systems is critical. Coping with contextual complexity will require innovative approaches that strive to be inclusive of varied perspectives and actors, enable and support effective collective-choice arrangements at lower levels of organisation, and organise and link diverse institutional arrangements at multiple scales. Large-scale marine governance will also involve a great deal of experimentation and regular adjustments to governance arrangements to account for the dynamic nature of regional commons. © 2011 Elsevier Ltd.
Evans L, Cherrett N, Pemsl D (2011). Assessing the impact of fisheries co-management interventions in developing countries: a meta-analysis. J Environ Manage, 92(8), 1938-1949. Assessing the impact of fisheries co-management interventions in developing countries: a meta-analysis. Co-management is now established as a mainstream approach to small-scale fisheries management across the developing world. A comprehensive review of 204 potential cases reveals a lack of impact assessments of fisheries co-management. This study reports on a meta-analysis of the impact of fisheries co-management in developing countries in 90 sites across 29 case-studies. The top five most frequently measured process indicators are participation, influence, rule compliance, control over resources, and conflict. The top five most frequently measured outcome indicators are access to resources, resource well-being, fishery yield, household well-being, and household income. To deal with the diversity of the 52 indicators measured and the different ways these data are collected and analysed, we apply a coding system to capture change over time. The results of the meta-analysis suggest that, overall fisheries co-management delivers benefits to end-users through improvements in key process and outcome indicators. However, the dataset as a whole is constituted primarily of data from the Philippines. When we exclude this body of work, few generalisations can be made about the impact of fisheries co-management. The lack of comparative data suitable for impact assessment and the difficulties in comparing data and generalising across countries and regions reiterates calls in other fields for more systematic approaches to understanding and evaluating governance frameworks. Evans LS, Brown K, Allison EH (2011). Factors influencing adaptive marine governance in a developing country context: a case study of Southern Kenya. Ecology and Society, 16(2). Adaptive governance can be conceptualized as distinct phases of: 1) understanding environmental change; 2) using this understanding to inform decision making; and 3) acting on decisions in a manner that sustains resilience of desirable system states. Using this analytical framework, we explore governance in practice in two case studies in Kenya, that reflect the "messiness" of contemporary coastal governance in many developing country contexts. Findings suggest that adaptive marine governance is unlikely to be a smooth process of learning, knowledge sharing, and responding. There are institutional, sociocultural, and political factors, past and present, that influence each phase of both local and state decision making. New local institutions related to fisher associations and Beach Management Units influence learning and knowledge sharing in ways contrary to those expected of institutions that enable collaborative fisheries management. Similarly, state decision making is relatively uninformed by the diverse knowledge systems available in the coastal zone, despite the rhetoric of participation. Historical relations and modes of working continue to play a significant role in mediating the potential for adaptive governance in the future. The case studies are illustrative and point to a number of institutional and political issues that would need to be addressed in processes of governance reform towards more adaptive management in developing country contexts. © 2011 by the author(s). Evans LS (2010). Ecological knowledge interactions in marine governance in Kenya. Ocean and Coastal Management, 53(4), 180-191. Proponents of integrated, collaborative, and adaptive governance advocate the inclusion of a diversity of stakeholders and their knowledge and values in governance processes. This paper examines knowledge interactions at different scales of decision-making within two marine social-ecological systems in southern Kenya. Ecological knowledge systems are shown to be diverse and fluid even within broad conceptual classifications. Knowledge interactions at the local level are mediated by socio-cultural, institutional, and historical factors, whilst knowledge integration within district to national levels is primarily structured by institutional factors linked to centralised decision-making. In policy arenas, knowledge bounded to the marine environment is subjugated by knowledge dealing with terrestrial parks, inland fisheries, and wildlife tourism. © 2010 Elsevier Ltd. All rights reserved. Evans LS (2009). Understanding divergent perspectives in marine governance in Kenya. Marine Policy, 33(5), 784-793. To understand the subtle institutional conditions that underlie marine governance, beyond broad conceptualisations of property rights or pre-defined institutional designs, it is necessary to situate governance structures and human interactions within their historical and current social and political context. A two-tiered stakeholder analysis was developed to facilitate this. This analytical tool illuminates divergent perspectives between actors in two marine social-ecological systems in Southern Kenya. Investigating these differences emphasises the variety of historical contexts, social geographies, and current power relations in which different groups are situated. These historical and contextual factors mediate how groups perceive and respond to governance. They, therefore, have important implications for how institutions function. © 2009 Elsevier Ltd. All rights reserved. Melanie Hamel (PhD) Coral reef conservation planning based on habitat, biodiversity or fisheries data: costs and benefits for traditional resource users and for conservation. James Cook University. Completed 2015. Received a commendation from the Dean.